Wouldn’t you like to maximize your blog? You spend a lot of time and money to create content and publish it on a regular basis, so take a few extra minutes to make sure it will deliver the results that your expect. We have put together a simple blog audit that is designed to help you quickly improve your engagement, which will naturally result in your blog generating more conversions for your business. Every blog is going to have a different goal. Some businesses want to collect email addresses while others want to drive traffic to product pages and convert traffic into paying customers right away. Whatever your goals are, you need to make sure that you have multiple calls-to-action present on your blog pages. You need to assume that every visitor isn’t going to scan every inch of your page, looking to see what you are offering them. If your goal is to collect emails then make sure you have an offer in your sidebar and somewhere else, like in your footer or after your content. You can also install an exit intent popup that only fires when they are about to leave your site. This is a great way to convert more abandoning traffic and add to your email list. If you are going to leave the comments section open on your blog then make sure you use anti-spam software and also require that comments be put into a moderating bucket. This way you have to manually approve every comment that is posted. The last thing you want is for your visitors to see a bunch of spammy comments. That is a quick way to get them to leave your blog and never return. Comments are a great way to encourage engagement but make sure you moderate the discussion to keep it spam free. Your blog title is the first thing a potential visitor sees. A strong title will attract a click and visitor, while a boring title will get skipped over and your competitor will secure that website visitor you just lost. Try to incorporate your target keyword for the post in your title but also make sure that it is a compelling title. Always choose a great title over a so-so title that includes the keyword. Think of the reader. Your main objective should be to get them to click through and read your blog content, and a solid title is the first step to get them to engage. It is very easy to miss simple grammar mistakes, so it’s a great idea to have someone else run through all of your blog content and look for errors. While you might miss them, someone that is reading the content for the first time will easily spot little mistakes. Not every business has the luxury of a full time editor on staff, so ask around and see if you have anyone available to spend some time proofing your existing content. When your visitors stay on your website for a long time it greatly increases the chance tat they convert. In an effort to reduce your website bounce rate and keep your visitors engaged you should interlink your blog content. This allows the visitor to easily click over to a new piece of content that was mentioned within the content they initially landed on. You should also include related posts at the bottom of your content, giving your visitors another option for finding similar content to engage with. There are several WordPress plugins that handle this for you, as well as several options for websites that aren’t built using the WordPress platform. If a website visitor is interested in the products or services you sell they need to be able to easily contact your business at any point. If you make them have to search for your contact information you will cause a lot of visitors to get discouraged and find other options. Make sure that your phone number is always in sight while reading your blog and that you have a visible menu option to access your contact form. If you can’t immediately identify contact information within a second you need to make some changes. A sidebar that is cluttered with several offers and widgets will distract your visitors. It’s fine to have some information and a submit form, but multiple offers and a lot of clutter there does more harm than good. Clean it up and make your website easy to navigate without several things to distract your traffic. You want to keep it simple. Your visitors should be able to read your blog content without being distracted and then they should be able to either complete an offer or contact your business. Anything more is just getting in the way of your conversion goals. When a website visitor feels comfortable on your site it greatly increases conversion rates. Even if you are only trying to collect email addresses something as simple as a Better Business Bureau logo or the logos of some media outlets that have featured your business go a long way in conveying trust. Consumers are very aware of data compromises, and they are being more proactive in protecting their financial information online, as well as their email address. Nobody likes spam so take the extra step to make sure your blog conveys trust. There is nothing in this list that will take you an absurd amount of time. With a little time each day you can quickly audit all of your blog content and make sure it is set to perform at its best. 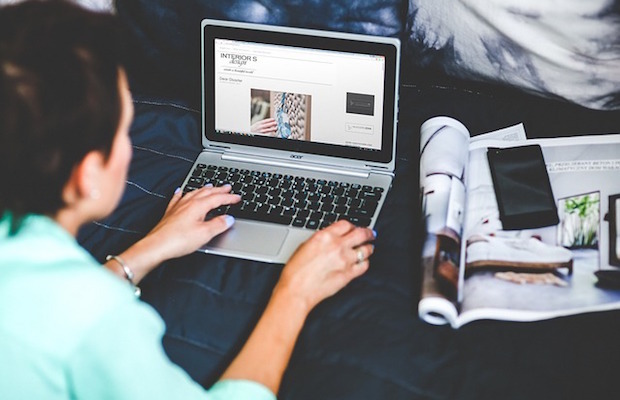 Your blog is often the first impression of your brand that a potential customer sees. Make sure they have a good first visit experience by following this simple blog audit guide.